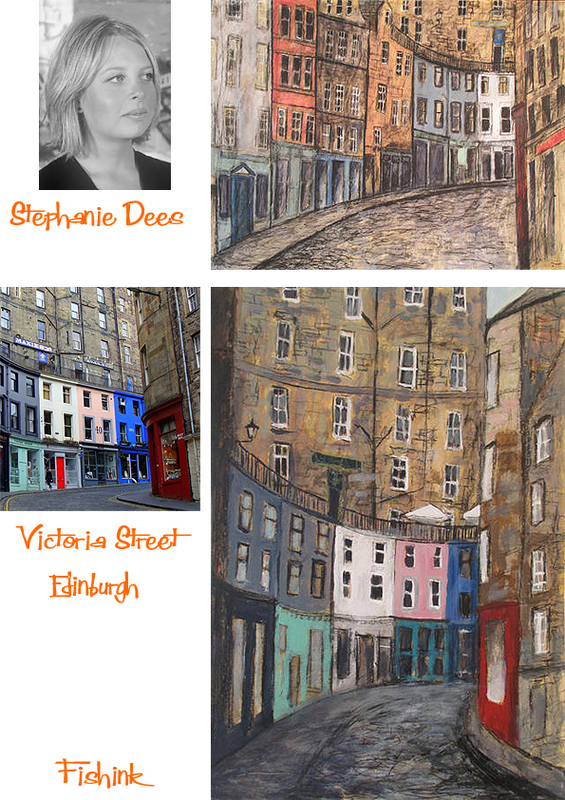 Born in Northumberland in 1974 Stephanie Dees attended Edinburgh College of Art, obtaining a MFA Degree in Painting in 1998. 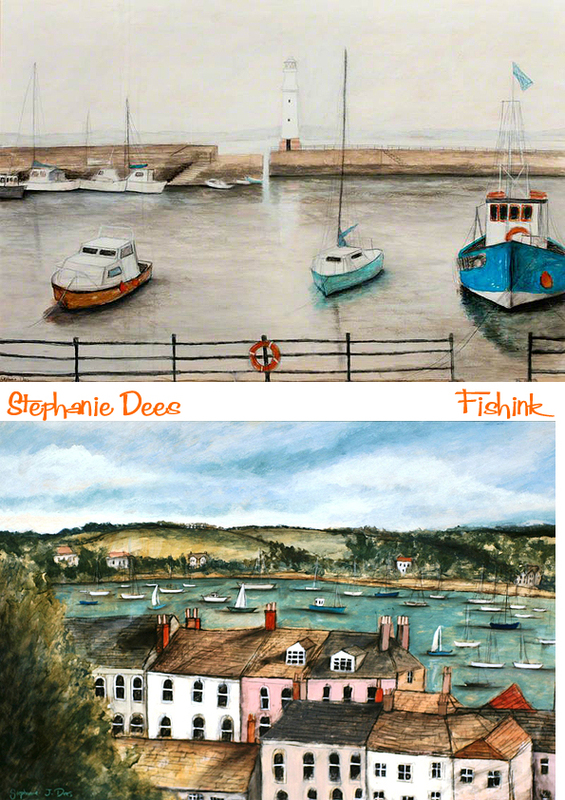 Stephanie works in many different media including acrylic, watercolour, pencil, oil bar and oil pastel. 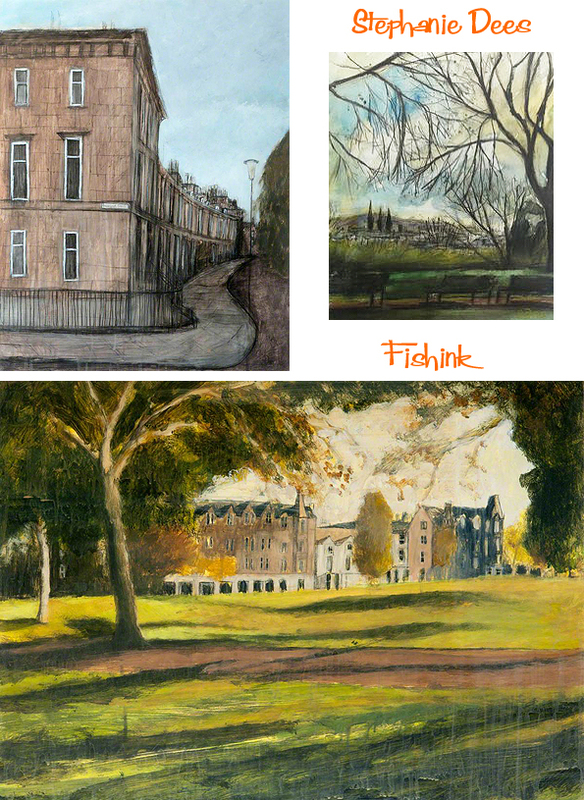 She is a regular exhibitor at Society and Commercial Gallery group exhibitions throughout the UK and has been showing with the Scottish Gallery since 1997. Her works feature in Private and Public Collections worldwide. I love her keen observational skills and her capture of the light and mood of each space that she captures on canvas. 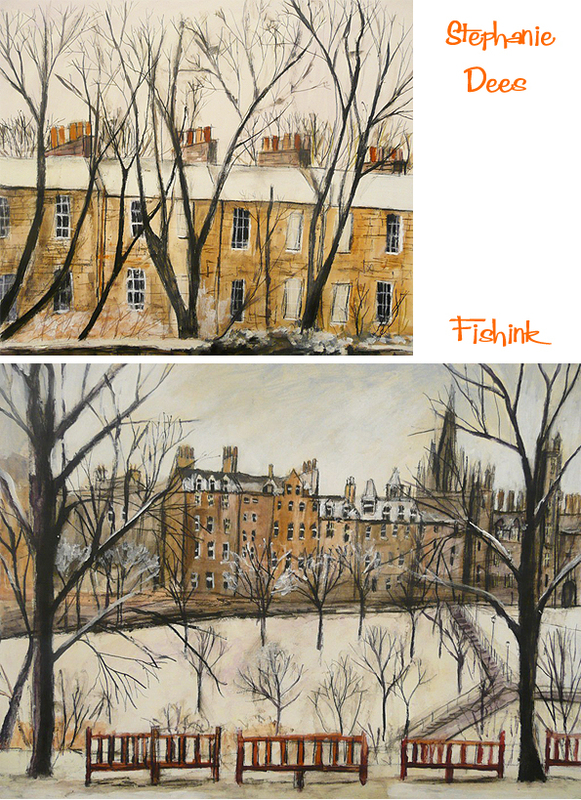 Edinburgh ‘sings’ out from these paintings. 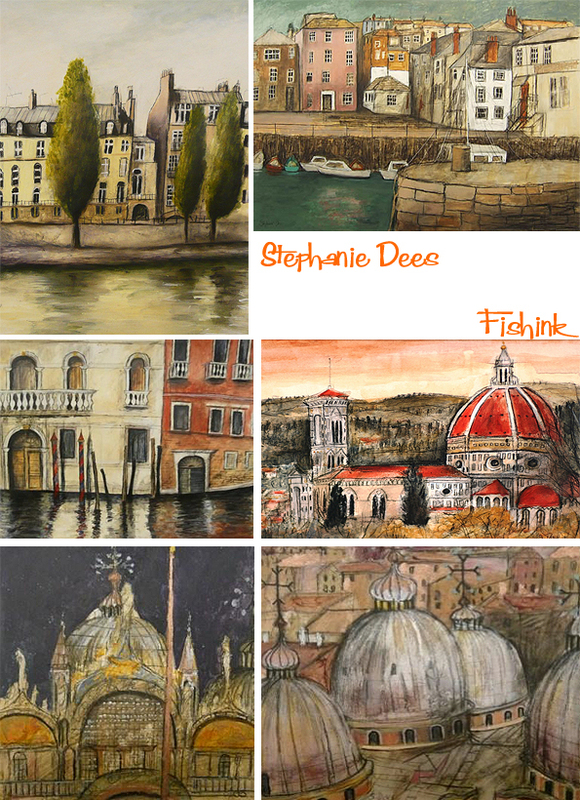 and from Paris to Italy, each painting tells a story of her travels. 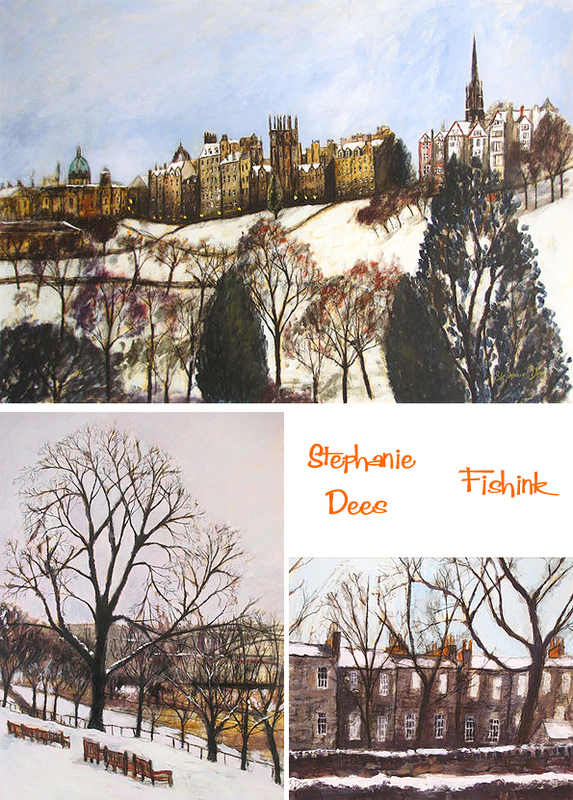 Summer through to Winter even the season’s are explored in Stephanie’s detailed work. I love the grey skies contrasted with the sandy buildings here. 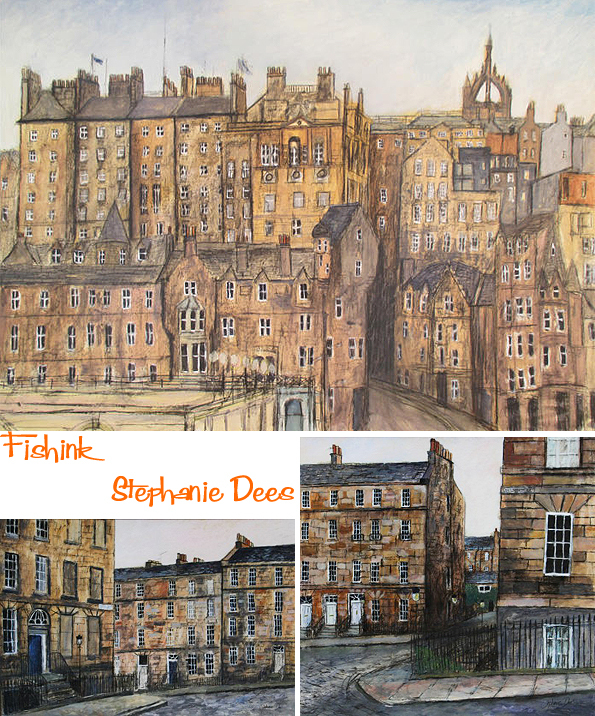 Wonderful work, evoking great memories of times spent in Edinburgh. I love how textural her work is. I’m coveting that opening piece of Victoria Terrace as I was married on that street almost exactly 20 years ago. What a lovely reminder for you : ) Happy Anniversary too. 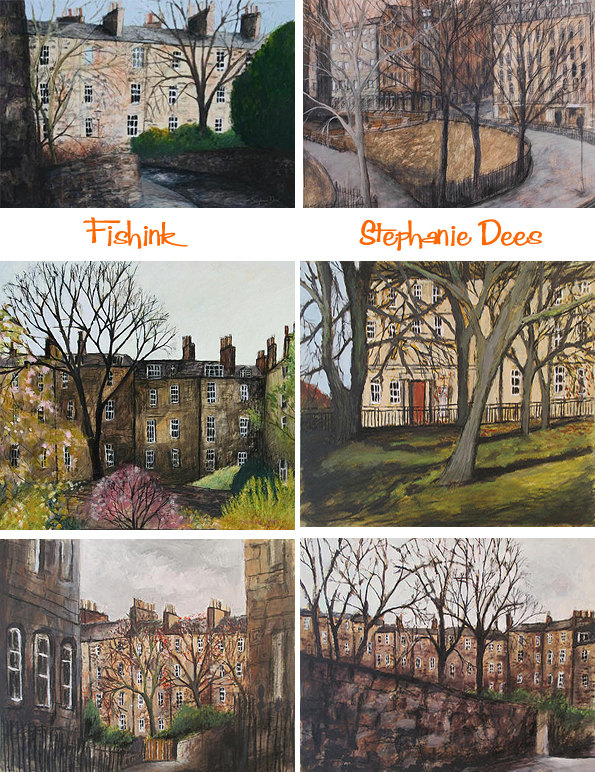 I love every aspect of her work, especially how she captures the seasons and times of day with various shades and light. Overall, her work is very serene. Beautiful work! 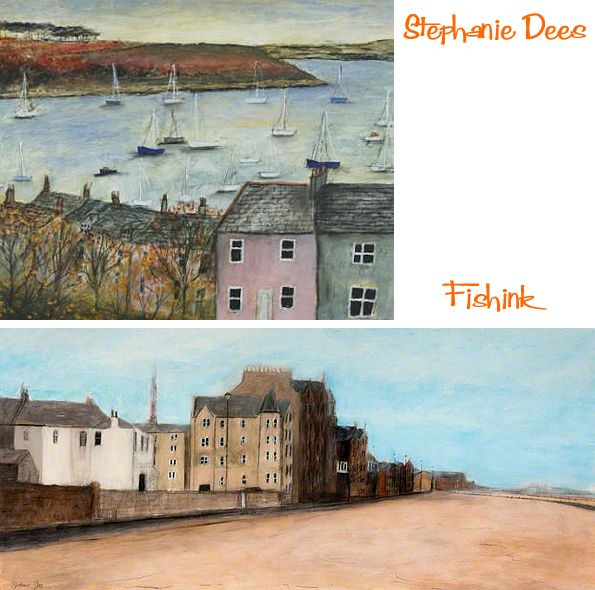 I love how Stephanie uses colour and texture to convey her subject matter.